Home › Wordpress › Sabaidee! I find myself drifting in and out, as the afternoon glow invites my body to recline on the hammock outside my bamboo bungalow’s porch. Swinging naturally by my own weight, in a rhythm not unlike a baby’s cradle, I feel weightless. No internet and nothing awaiting my response. Lazy. Happy to be. Something has cleared space within me to let me be, and let this moment exist. I let myself ponder on the meaning of my life, happiness, and whether or not I have finally touched a slice of heaven-– all very elusive concepts that this afternoon I’m happy to entertain. 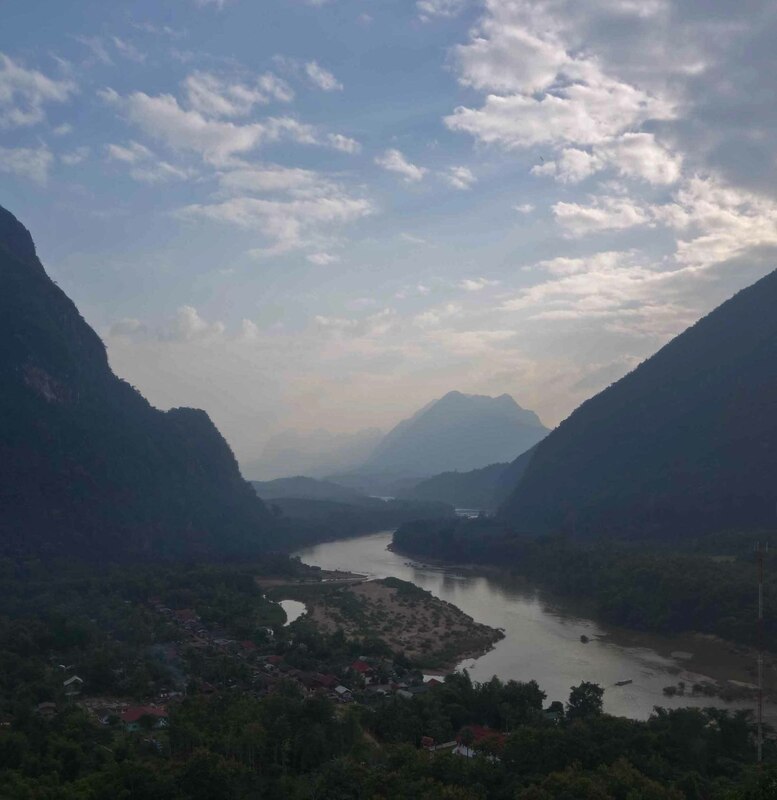 Nestled on the banks of the Nam Ou River, with access through a tiny port, the Muang Noi enclave is surrounded with gorgeous limestone mountains. 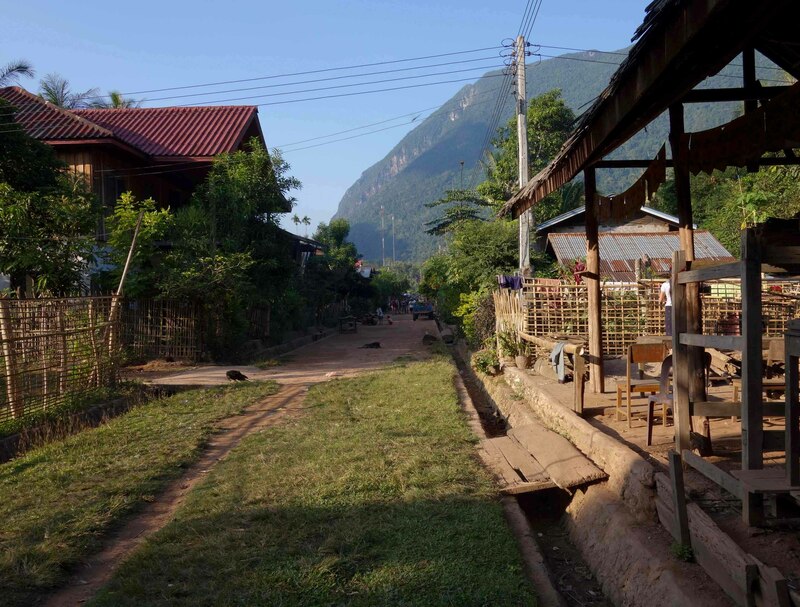 The village consists of one dusty road, running the length of 500 meters, with Lao homes and tourists guest bungalows co-existing. An underlying current of anarchy exists– kids, chickens, pigs, dogs, cats– all seem to run wild, unsupervised, free to be. This town has the most pleasant Laotian people I have encountered so far. At times, over the past three weeks, I’ve felt unsure whether Laotians are discreet and protective about their business, or plainly dislike “falangs,” as foreigners are called in South East Asia. Unlike Vietnamese people, Laotian people are not aggressive towards foreigners, and I haven’t encountered obvious scamming, but they are generally dismissive and uninterested. Community oriented and culturally protective, they care for each other and each other’s children with no existing market for orphans to be adopted by foreigners. With two thirds of their sparse population below the poverty level, and known as the country most bombed in all of modern history– I don’t blame them for their mistrust of falangs. Presently, this stunning but poor country landlocked by its neighbors, China and Thailand, is letting her resources be exploited in exchange for infrastructure. 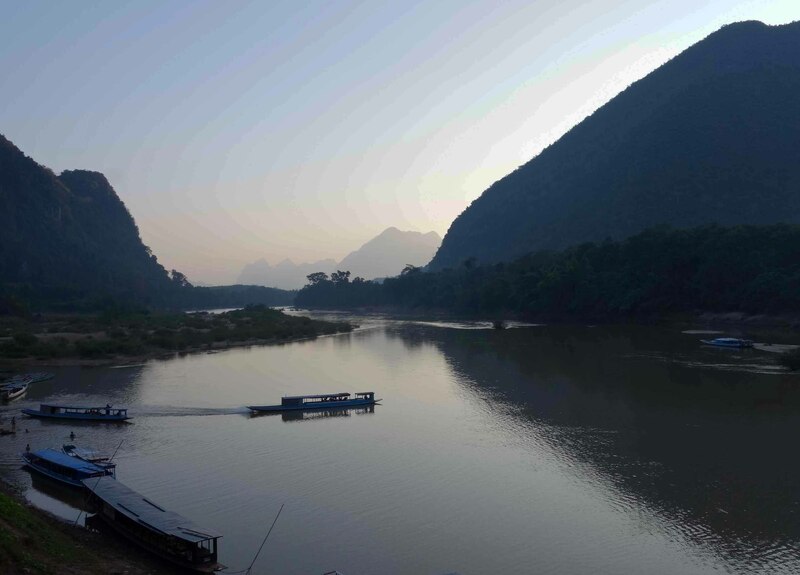 These countries are building countless dams along the river ways of Laos with a corresponding electrical allotment that is appalling: China and Thailand get 95% and Laos 5%. Additionally, now owned by foreign interests, they bring entrepreneurial Chinese to buy/exploit/use/dispose of their own disposables. It’s a situation that keeps getting the world’s best resources and putting the people’s livelihood in the hands of the Chinese and will also mark the beginning of the end of a culture rooted in agriculture and the natural flow of its rivers. Sad to think that this blessedness I feel will soon be gone… But then again, who knows how long anything lasts! But, I digress… This is still paradise, as far as my vision can ascertain. A mountainous land, fruitful with green valleys, rice fields, sharp limestone eruptions, and life-fueled rivers-– it has everything. After a week in charming Luang Prabang and after feeling saturated with everything from lovely trekking and home stays in Khmu and Hmong hill tribes (Tiger Trails), a lesson in rice harvesting (Rice is Life), wonderful dining options(fave is Tamarind), glorious Vats (fave is Vat Xieng Toung), watching movies with expats at L’Etranger — I was ready to explore the rest of Laos. 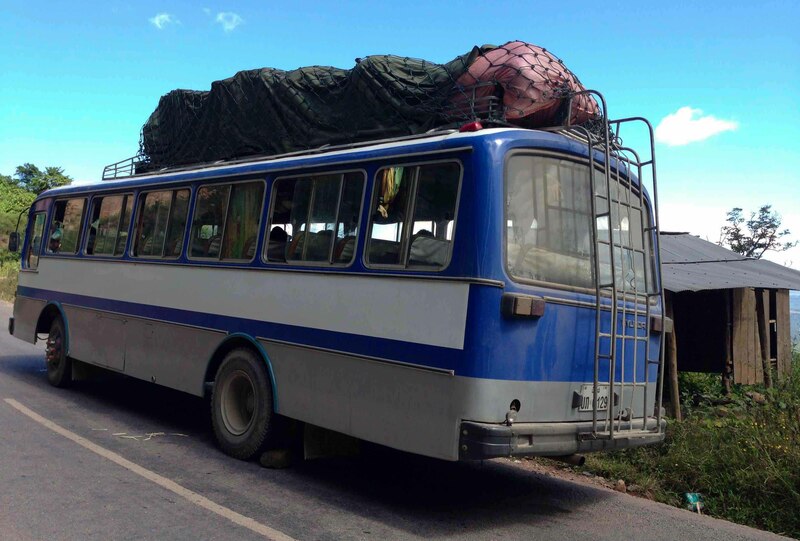 I have chosen to explore the north, journeying by bus from Luang Prabang to Luang Nam Tha, a small town amidst glorious nature and hill tribes. Over the course of the next couple of weeks, lovely and warm new friendships have formed between fellow travelers following this same route. To reach the northernmost city closest to China, Phong Sali, we stopped in Oudomxay (the ugliest town in all of Laos) for the night. Accessible by a nine-hour long local bus, Phong Sali is set on a cliff 1,200 meters above sea level. 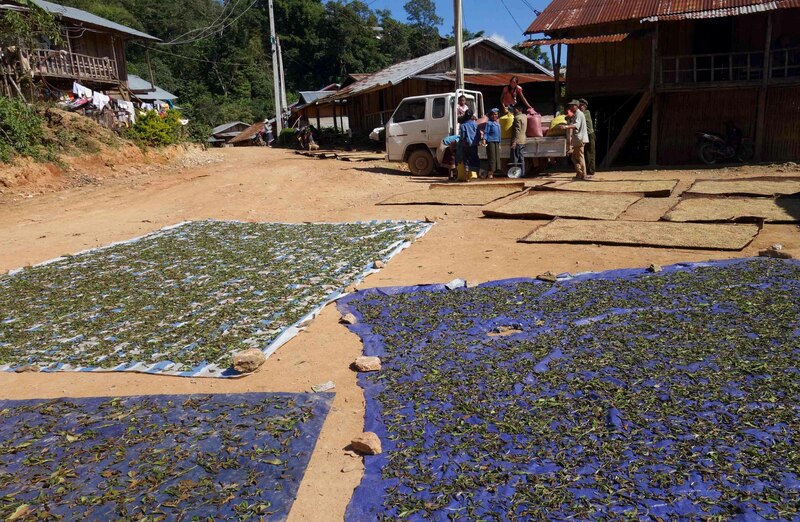 It’s home to green tea plantations that date back 400 years, and has a high percentage of Chinese people. The sparsely populated north is home to many hill tribes, the Akha, the Hmong, the Khmu, and many other sub tribes that live in these mountains and valleys. 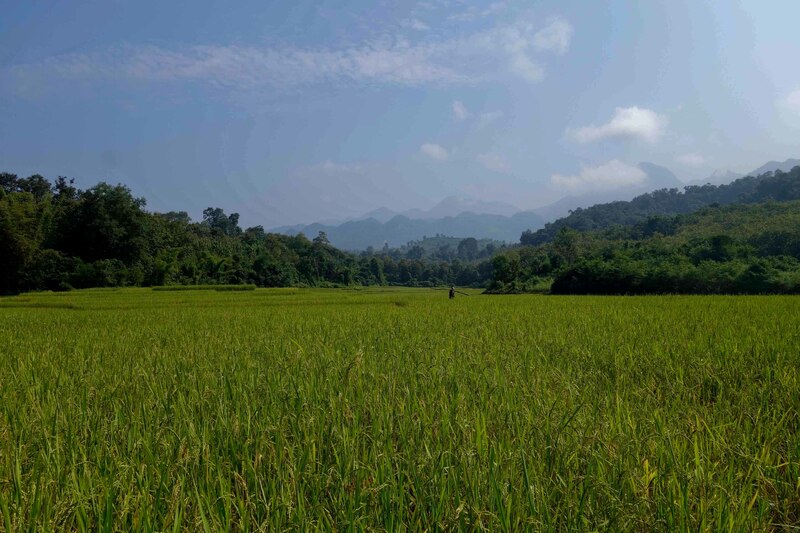 Long trips through these undulating mountain ranges and through an endless variety of rice fields is a feast for the eyes and puts me in a trance. I also thank god for motion sickness pills, and the bus’ every two-hour bathroom stop! I have learned to be conservative regarding drinking water on the bus and the type of foods I eat along the road: No grilled rats on sticks, or sautéed grasshoppers for me! Just sticky rice and some peeling fruit, will do. Arguably, the best part of this journey has been the boat ride from Hat Sa, a tiny port village on the River Nam Ou. Small wooden boats travel the narrow river when water is high enough, which seems to be just after monsoon season. It’s a scenic river ride lasting about 5 hours till the next large village, Nam Kua. Sleeping there overnight we then continued for another 4 hours on a boat to Muang Noi, where I am now, on my hammock, and on my piece of happiness. 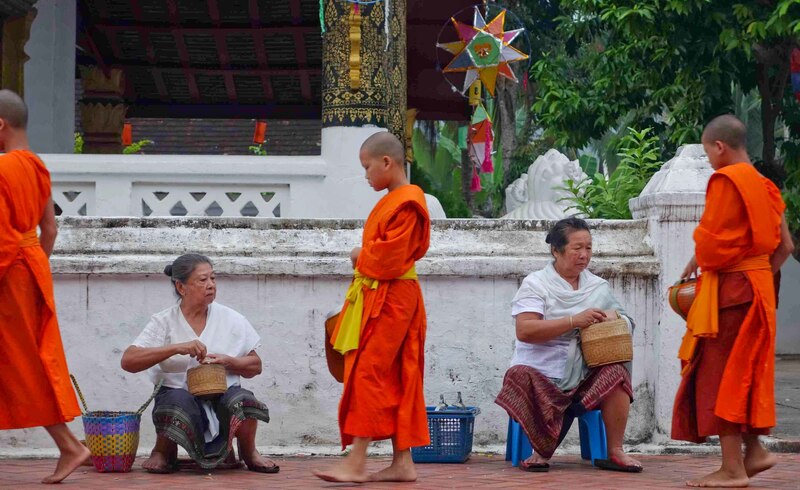 Really love this post as it captures the spirit of Laos perfectly. I spent 4 months there at the end of last year and beginning of this and it is one of my favourite countries. Marvellous. Thanks! It’s now one of my faves as well! I actually come from phong saly, the most north of laos. We ‘re very welcome you to visit our villages again. See you in Laos and LPB, luang prabang. Thanks! 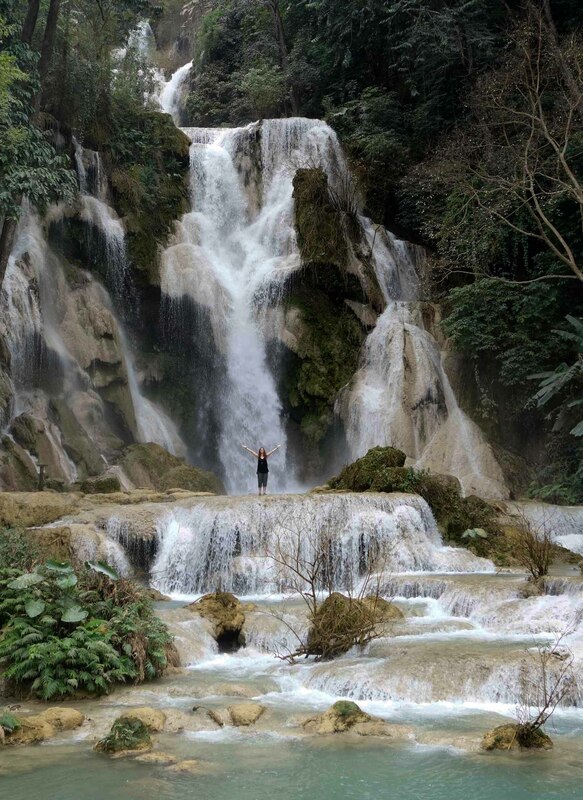 Yes, Lao was one of my favorite countries and I’m so glad to have visited Phongsaly. I took the river Nam Ou from Hatsa downwards. A great experience! Thanks for visiting my blog!